I am not a member of this association but was a spectator at their most recent annual event, took some video and have posted some of them on the forum to show how Canadian Old Time Fiddling and Step Dancing is being preserved and promoted. These are observations of an outsider who cannot step dance and has been trying to learn to play fiddle for about 9 months. It seems that step dancing is the normal entry point for the youngest participants, maybe six years of age who may or may-not take up the fiddle after a few years. While learning the dance steps they are exposed to the tunes and rhythm of the jigs and reels. Classes seem to be 8 and under and 12 and under Novice classes … the n 12 and under, 18 and under, 19-49, 50 and over open classes with novice classes for most categories. 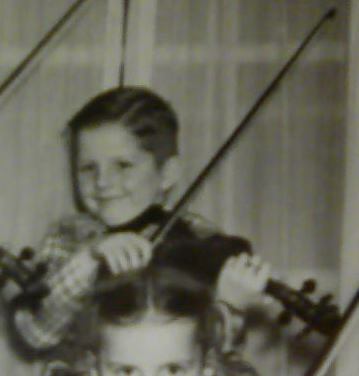 Novice fiddle classes must perform one of a waltz, jig or reel, other classes must perform a waltz, a jig and a reel in that order. A novice fiddler is “one who has competed no more than 3 yrs and never placed 1st, 2nd or 3rd at a fiddling competition. That would describe me if I chose to enter next year. Many communities have similar associations resulting in enough competitions that every summer weekend sees a place to compete around several provinces and with whole families competing many resort to campers and motor homes to support their dedication to this heritage art form. Here are a few examples of skill, heart and dedication. I have refrained from examples of extremely talented 6 and 8 yr olds because most of us at FM get upset at seeing precocious youngsters. Hope you enjoy the videos I have selected. Thanks for posting that stuff! My goodness, a whole world of fiddlers and dancers I didn't know about. All of them really good, really fast playing, fast dancing. I bet the older ones all started young too. It'd take me 15 years to begin to catch up, assuming I started "young" too, ha. Great fun to watch though! No signs of arthritis in those older dancers. The first one with the fiddle and dance was very impressive. It's not easy to dance and play at the same time. I'm wondering how difficult it would be to play while running for one's life from an angry crowd who didn't appreciate one's playing. you'd HAVE to play the benny hill music. purely for comedic effect. As any good spy or bad musician knows, you never enter a room with only 1 exit, and always have a backup plan.